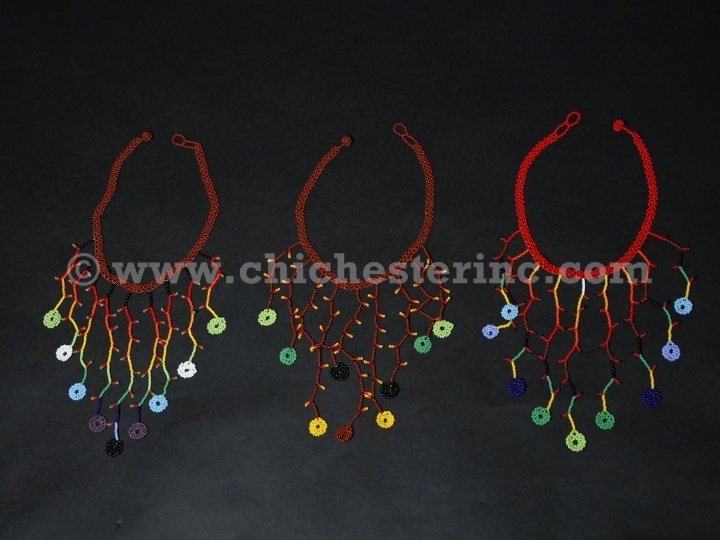 These beautiful beaded necklaces are handmade by indigenous people in Colombia. 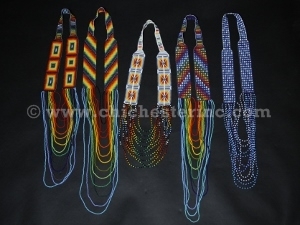 They are made with tiny colorful beads set in intricate designs and patterns. Each piece is truly unique. 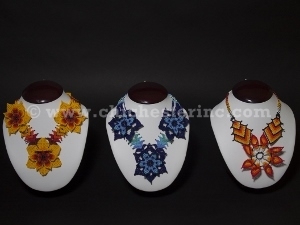 For example, we have never seen three-dimensional beadwork like the ones shown by the flower necklaces anywhere before. 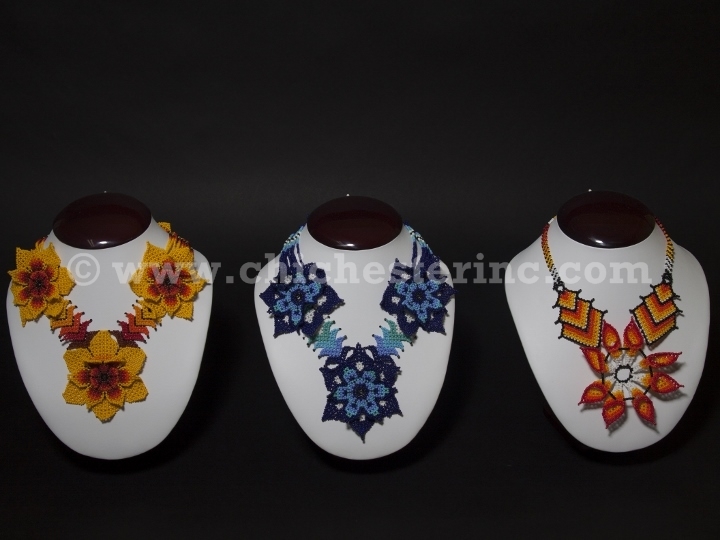 Note that we have a limited number of these necklaces on hand. We may be able to get more in the future, but are not certain at this time. 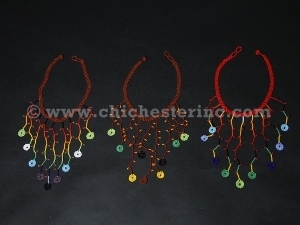 Our Gxx codes denote individual pieces. 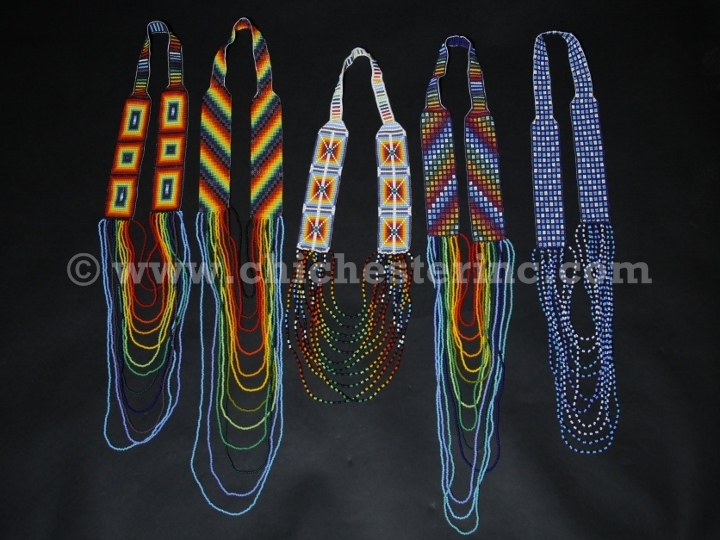 If you would like to order a specific beaded necklace, please go to our Gallery to pick the exact one shown.